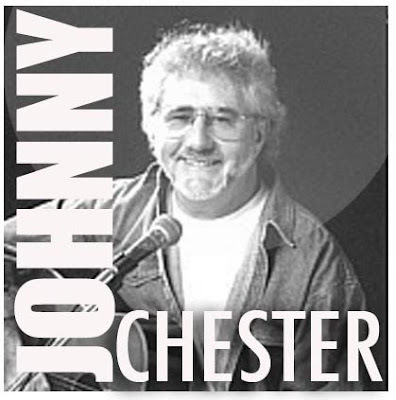 Johnny Chester (born 26 December 1941) is an Australian singer-songwriter from Melbourne. He started his career singing rock'n'roll and later changed to country music. He has toured nationally with The Beatles, Roy Orbison, The Everly Brothers, Kenny Rogers, Johnny Cash, Tammy Wynette and Charley Pride. Chester has hosted the television series Teen Time on Ten (Channel 10, Gippsland), Teen Scene (ABC TV) and Country Road (ABC TV). He has also worked as a radio announcer on Melbourne radio station 3UZ and Radio Australia. He wrote a musical comedy 'Rebound' that opened in Wagga Wagga. Chester has won Golden Guitars at the Country Music Awards of Australia for best selling track in 1975 and for Male Vocalist of the Year in 1981, 82 and 83. In 1994 he was awarded the Songmaker of the Year award from the Tamworth Songwriters Association.